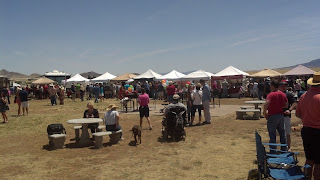 We ventured out to Kief-Joshua in Elgin, AZ on the 20th of April 2013 for the Second Annual Southeast Arizona Wine Growers Festival. 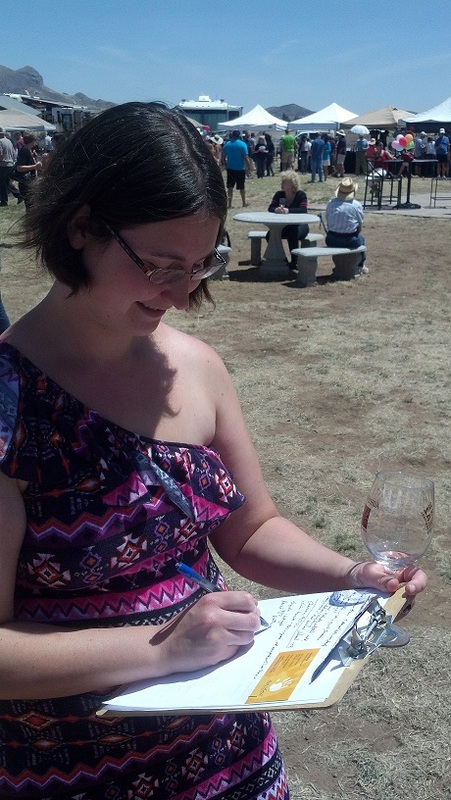 Our goal was to sample many Arizona wines without having to shell out a whole bunch of cash. Mission accomplished. 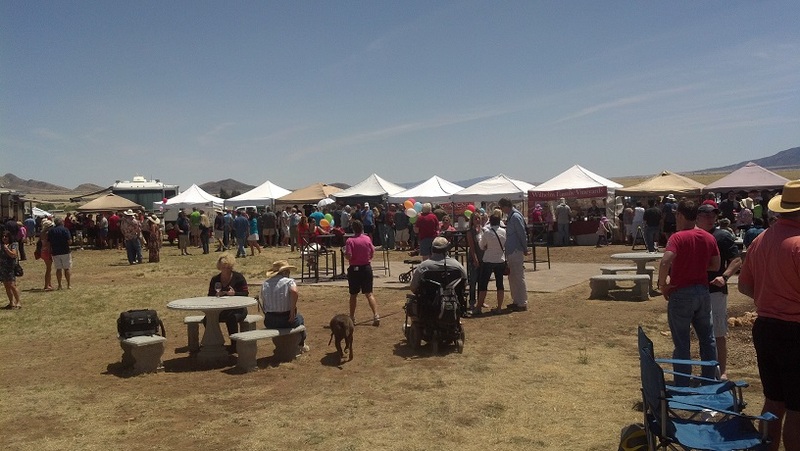 Since we pre-purchased tickets to the festival, all we need to do was pick up glasses and get ready to taste some of the best wines Arizona has to offer. we select only the best wines! Once we stepped outside of Kief-Joshua onto the patio, we quickly noticed the pleasing sounds of Jeordie adding to the overall awesome ambiance of the this great wine festival. Rarely do we get the chance to sample so many great Arizona wines in one location, so our goal was to explore more of the out of area brands. 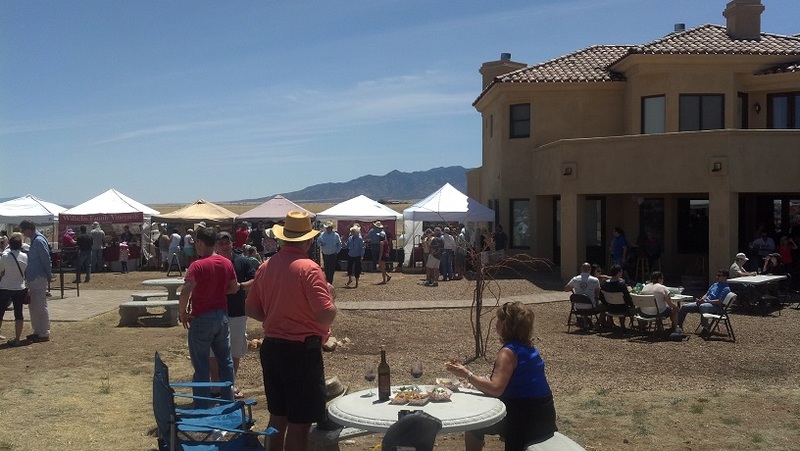 We had sampled so many of the Sonoita and Elgin Arizona wines, so we wanted to see what the other sides of Arizona had to offer for wines. However, as we all know, it is hard to turn down good wine, so we ended up sampling more than we intended too. Starting with Su Vino Winery out of Scottsdale, Arizona, our favorite red was by far Ruby which Kristine noted was sweet and very berry. Our favorite white offered by Su Vino Winery was Summer Rain which was a very good summer wine; light. Kristine was quickly distracted from the wine tasting by the fantastic offerings of Untamed Confections who offered all kinds of organic and natural chocolates in the fantastic varieties. It was hard to pry ourselves away from their display and refocus on our goal for the day, tasting out of area wines from Arizona. 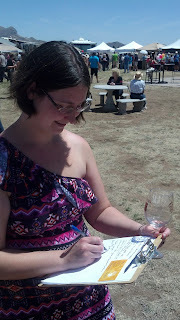 We moved back over to the Arizona wines and found ourselves gazing curiously at the wine labels of Jerome Winery. The wines called to us with old-world packaging using pictures of the winemaker's family. A nice touch! Given this interesting packaging, and the crowd of wine lovers setting up camp at their booth, it was time to taste! We loved the Barbarian and Phantom. What trip to a wine tasting would not be complete without tasting the Stronghold Wines of Arizona? 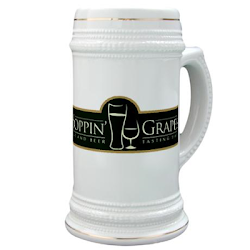 Arizona Stronghold is become popular all over the southern US and for good reason. Their Dala Cabernet was delicious with a great bouquet; perfect in every way. The Tucson-blend Sangiovese was really good, according to everyone in earshot. Since they were there, and we had not tried some of their wines, we decided to use our last few tastes on some local wines as we stepped up to the Village of Elgin Winery tent. Their Tombstone Curly Jack took us by surprise as a really nice dessert wine (since Kristine doesn't typically care for dessert wines). The Tombstone Curly Jack sweet white port was delicious; reminiscent of an ice wine. We also enjoyed the Tombstone Red which was nicely sweet.